The 16-Bit HDMI by Columbus Circle is a new piece of gaming hardware, that plays SNES cartridges and features a design inspired by the Nintendo Switch. There is no denying that the Nintendo Switch is one of the most innovative pieces of gaming hardware in recent years and while it is a fun console to play with it would’ve been awesome to see Nintendo’s hybrid system play Super Nintendo Entertainment System cartridges. Luckily, manufacturer Columbus Circle has implemented the concept of the Nintendo Switch and strictly plays SNES cartridges in the form of the 16-Bit Pocket HDMI. The 16-Bit Pocket HDMI is a portable device with a 7-inch screen while on the go. If you’r at home and want to play on a bigger screen, the product also connects to a dock so you can play your games in all their HD glory on TV or you can use Tabletop mode by using the 7-inch screen and two controllers. The manufacturer also confirms that the product will play both Super Famicom and Super Nintendo cartridges; an ideal product for those who collect SNES cartridges and are looking to play their SNES games on the go. 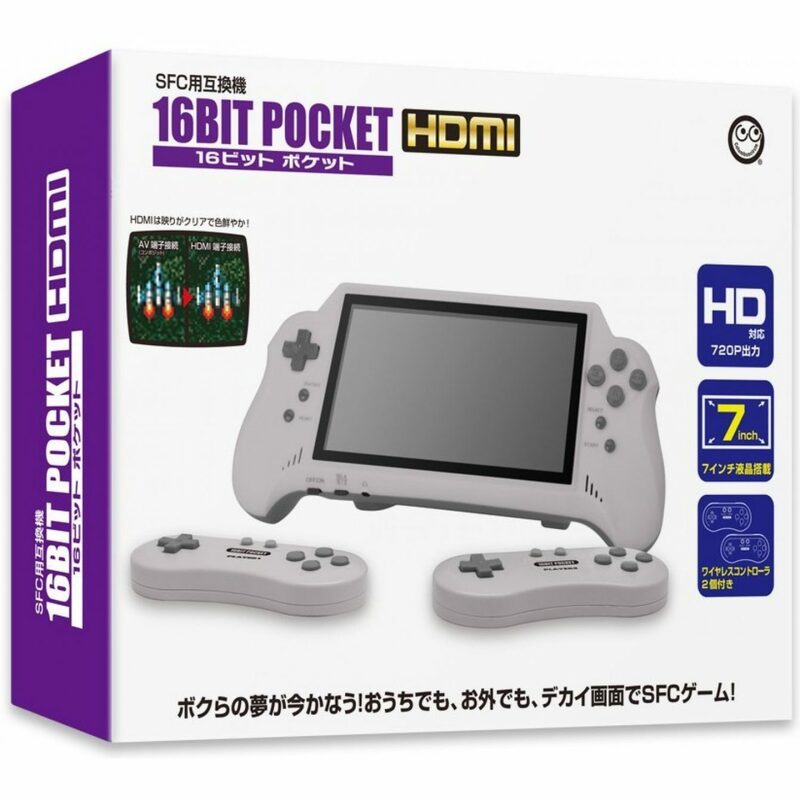 The 16-Bit Pocket HDMI is set to launch in Japan on February 28, 2018, with no price tag yet to be announced. However, pre-orders for the product are slated to open soon. Unfortunately, the manufacturer has yet to confirm nor deny whether or not the product will get a Western release, hopefully, the company considers releasing it to a Western audience because I would love to buy one myself.